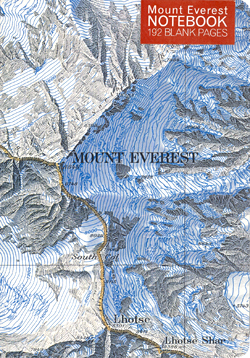 One of a range of items specially created for Stanfords, this delightful A5 notebook is based on the National Geographic Society’s map of Mount Everest. The cartography on display is beautifully detailed and when printed on a notebook, makes a superb gift for any time of year. The notebook has 192 blank pages on 80gsm and a flexible hard cover.